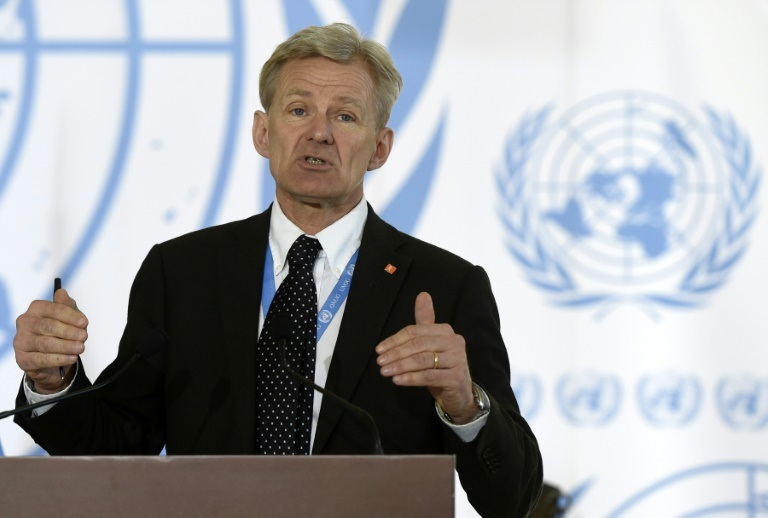 UN’s official in charge of humanitarian task force in Syria, Jan Egeland, has warned that “the fifth war winter is starting in Syria. There is no doubt it will be the worst in this cruel war, and I fear it will be a real killer in too many places.” He added that around 250,000 residents in rebel-held eastern Aleppo are on the brink of starvation because “the last food rations are being distributed” at the moment and “there will not be more to distribute next week” due to the siege imposed on the city since July. UN has urged government and rebel troops to allow aid and food supplies to the eastern Aleppo as it lamented about their lack of cooperation. Humanitarian convoys are being blocked by both sides by physical and administrative means or due to crossfire and insecurity. Russia had in the past unilaterally declared “humanitarian pauses” for civilians to flee the city and rebel fighters to surrender or move elsewhere in order to avoid “senseless loss of life.” However, it’s Defense Ministry spokesman Maj. Gen. Igor Konashenkov considered UN’s latest plea for a cease-fire on the city as “counterproductive and against common sense” because food deliveries will be used by the rebels to “better restore their battle-worthiness.” It has nevertheless assured that its pause of airstrikes will continue but would respond to shelling and other ground attacks by the rebels on the western Aleppo controlled by the government. 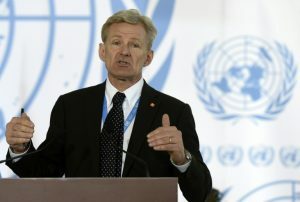 Ground fighting between the rebels and government force is ongoing and Egeland thinks that the US and Russia could play a major role in negotiating for a ceasefire to allow humanitarian aid. He lamented that “Syria is the worst war, the worst humanitarian crisis, the worst displacement crisis, the worst refugee crisis in a generation” and he has “not seen a place where there has been so much politicization, manipulation of aid” as in the past recent months. Written by: Jaber Ali on November 11, 2016. Posted by Jaber Ali on Nov 11 2016. Filed under Gulf News, Headlines. You can follow any responses to this entry through the RSS 2.0. Both comments and pings are currently closed.